GORGEOUS Ranch & CONVENIENTLY LOCATED! Cul-de-Sac Location is the beginning of the AMAZING features that are sure to PLEASE! Step inside to this OPEN CONCEPT RANCH & be DELIGHTED by the Vaulted Ceiling, Gorgeous WOOD flooring, Brick FP, GORGEOUS LIVING RM & more! Kitchen is highlighted by the Black Granite Counters, High-End SS Appliances, Kitchen Island w/ Bar Seating, Tons of CUSTOM Cabinets & HUGE Walk-In Pantry! Just down the hall is the ENORMOUS Laundry Room & Half Bath. Home features a SPECTACULAR Sunroom, PERFECT setting for relaxing by the Wood stove or Enjoy the PHENOMENAL VIEW of your âLâ shaped, Salt-Water Pool as well as providing easy-access to the âWisteria Coveredâ Pergola & Entertainment Area by the Pool! Master Suite is Spacious w/ Large En-Suite. 2 add. BRs w/ Full Hall BA located on the Main Flr. LL has a finished Family Rm, Rec. Rm & Bonus Area as well as 2 Unfinished Storage/Work Shop Areas. Public Water & Sewer. 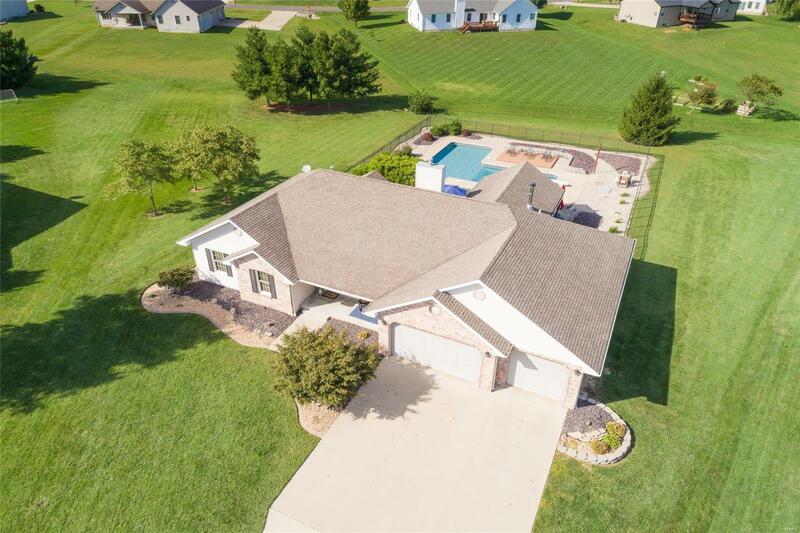 Open House, SUNDAY, 10/07/19, 1-3.